The firing of José Mourinho has been the most talked-about news in the past 22 hours. The Portuguese dismissal dominated all media outlets throughout yesterday as they focus more on Mourinho’s effect at Old Trafford. Irrespective of his current statistics, Mourinho had a very positive effect on the club within the years he spent at Old Trafford. He won two trophies, led the team to a second-place finish — for the first time since Ferguson’s retirement — last season. Critics will say the Portuguese manager didn’t give young players much opportunity to showcase their talents and worth throughout his reign at the Theater of Dreams. They must think towards McTominay’s direction before continuing with their criticism. The England-born Scottish midfielder broke into Mourinho’s first-team squad during the latter stage of the 2016-17 season thanks to his great display with the club’s youth team. He made his first senior appearance under Mourinho at the age of 20 when he was called into action by the Portuguese manager against Arsenal. Having impressed in his cameo appearance against the Gunners, the diminutive midfielder was named in the starting lineup for the last game of the season against Crystal Palace. The crisis between Mourinho and Pogba gave room for the young midfielder to feature more prominently throughout the previous campaign. This is because the former Real Madrid boss chose to ignore Paul Pogba in most of his team selection during the latter stages of the previous campaign. More teams indicate interest to sign Chelsea star . Knowing quite well that he has been given a rare opportunity nailed down a permanent spot in Mourinho’s list of regular starters, the 22-year-old put up numerous eye-catching performances throughout the season. He gave Mourinho little reason to doubt his ability, though, he made some schoolboy errors which were forgiven by the Portuguese who was on a mission to show that no one is indispensable. He didn’t just record 13 League appearances for Mourinho’s side in 2017-18, he did that by making £88m-rated world cup winner sits consistently on the substitute bench. Mourinho rates the youngster so high that he didn’t mind leaving Pogba on the bench but he’s no longer going to enjoy such favour. 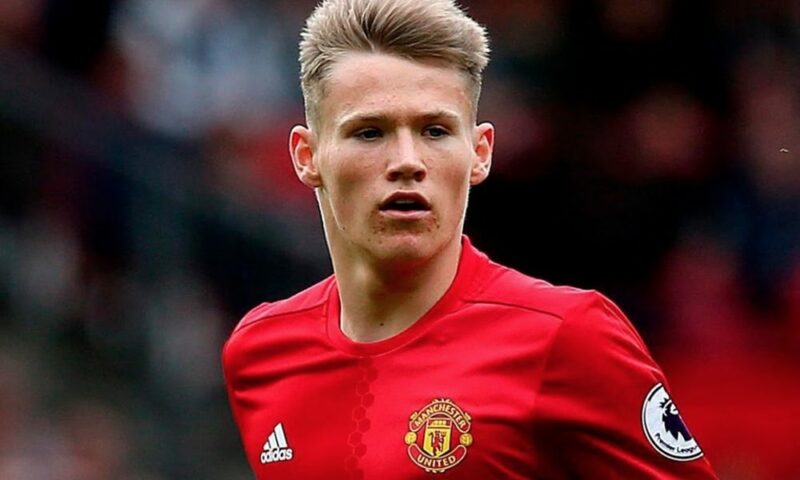 With the recent development at Old Trafford as regards to Mourinho’s contract termination, McTominay now faces a bleak future at Old Trafford. The youngster, who has featured in six Premier League games so far this season, has lost a manager who trusted him so much and he will need to start from the beginning once again. Considering Pogba’s experience and class, no manager will choose McTominay ahead of the Frenchman. With the money spent on Fred during the summer transfer window coupled with his exploits at Shakhtar Donetsk, the incoming manager will surely pick the Brazilian ahead of the academy product. It’s too early to predict what effect would Mourinho’s dismissal have on McTominay’s future, though, everything pointing at his loan move out of Old Trafford in the upcoming transfer market.